Most of the time, fitness drives — cycling in particular — end up following the same path. Just a few weeks later, or maybe a month or two, the ‘cycle to work’ project is consigned to history. What if we told you that you may be able to get nearly all of the benefits of cycling without too much of the hard work? Would you believe us? We strongly believe that the increasing popularity of electric bicycles will help to keep your fitness drive on track. There are few worse feelings when out on the road than that overwhelming feeling of defeat that comes from having to push a bike up a hill. When riding an electric bike, you can call on the assistance from the attached motor whenever the need arises to ensure that this defeat will never need to happen to you again. An electric bike is basically a standard bicycle which has been manufactured to offer the assistance of an electric motor, whilst still keeping the usual pedals and bicycle transmission. The assistance offered by the motor will ensure that when riding the bike, you will be able to go further than you would under your own power, tackle bigger hills, or simply complete ride without having to put too much effort in. Regardless of whether you are a regular cyclist or contemplating taking up cycling for the first time, there are a variety of benefits associated with owning an electric bike. Indeed, many of the advantages of non-assisted cycling apply to electric bikes too, not least the fact that your fitness will receive a huge boost if you stick with it. There is little doubt that building cycling into your daily routine is an excellent and effective way to exercise. It is important that you do not think of riding an e-bike as cheating because it most certainly is not, even on a bike that has a motor helping when required, you will still be able to exercise, unless you choose to run it entirely on the motor. The majority of electric bikes still require the pedals to be turned in order to work anyway, and even the simple act of turning the pedals will help to keep joints mobile and will burn far more calories than sitting in a car or on public transport. Of course, a standard bike will make you work harder but this is where the problem often lies: Will you keep it up? There is very little middle ground when it comes to riding a standard bike as, generally, the results tend to be all or nothing. If riding a standard bike can be compared to a crash diet (i.e. it is very hard work for little benefit), an electric bike on the other hand can draw comparisons with a sensible balanced diet (i.e. not as hard work and provides longer lasting results). It will help to maintain your level of activity, ensuring that you get more exercise in the long run, and as your fitness levels begin to improve, you have the option of dialling down the amount of assistance you receive. Cycling is often viewed as a young person’s activity due to the level of effort which must be exerted to gain any benefits. With the creation of the electric bike though, no limitations are placed on whoever can use it. Electric bikes are equally well suited to both young and old, so there are no excuses for not hopping onto your bike. Cycling is not just about physical fitness either — there can be huge benefits in terms of well- being just from being out in the fresh air. An electric bike can help you to do all that just as a standard bike can. Some other important things to factor into your thought process are that using an electric bike on a regular basis is both excellent for the environment and can also help to save on travelling costs. 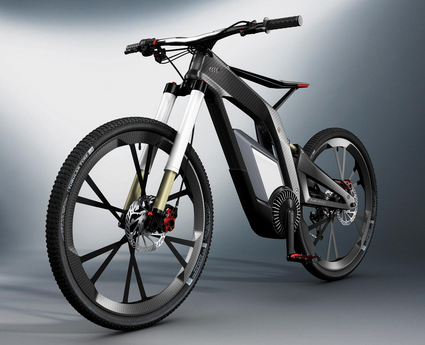 All in all, an electric bicycle has the ability to revolutionise several parts of your life. Jonathon Monk is an enthusiastic cyclist and works for Cycling Made Easy. Cycling Made Easy are the regional stockists for SCOTT and can give advice and guidance plus accompanied test rides to make sure that customers feel comfortable and can experience eBikes first-hand before looking to buy.